This April, The Drones are heading out in the I See Seaweed Tour, playing some of the most iconic venues they’ve set foot in to date, including a night that’s likely to become one of those legendary shows people talk about for years afterwards, at the Sydney Opera House. Known for their brutally beautiful and uncompromising live shows, the I See Seaweed national tour will see The Drones back on the live touring circuit for the first time in two years. 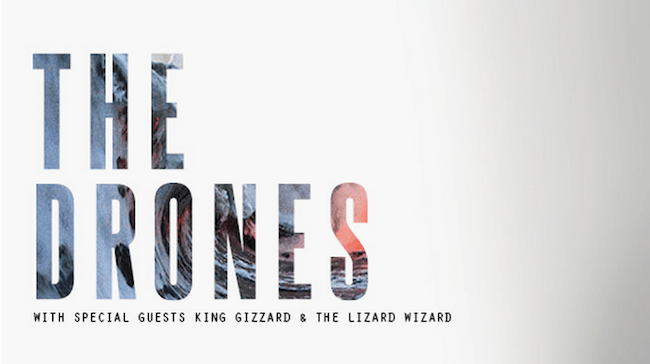 They will be joined by Melbourne collective King Gizzard and the Lizzard Wizard for all shows except Cairns, where local supports are to be announced. Gareth Liddiard, Fiona Kitschin, Dan Luscombe, Mike Noga and Steve Hesketh.